Dora Torres is spending the better part of a hot Monday afternoon at Bail Hotline Bail Bonds trying to get her boyfriend Mark Mabutas out of jail. He was arrested in October, charged with mayhem, criminal threats, and assault with a deadly weapon. It has taken Torres months of raising money to try and bail him out today. Her boyfriend’s bail is set at $445,000 which the bond shop can pay if Torres takes out a loan. 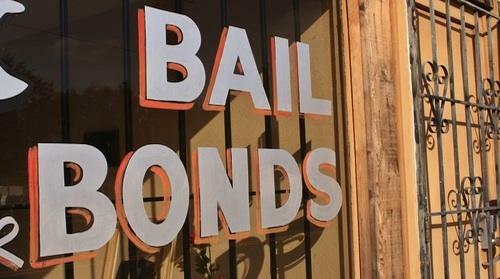 The loan is what is referred to as a bail bond, and that is generally for 10% of the bail amount. But to get that, Torres needs to make a down payment of at least $2,000. Torres’ has $700 in cash with her for the down payment, but the bail agent is asking for a lot more. That’s why Torres brought her mom and her sister today, she needs them to co-sign on the bail bond. That makes them all responsible for paying the loan back – no matter what. “So let’s say after all this is said and done and he goes and does some time because he pleads a deal or something?” she asks bail agent Augusto Reyes. Reyes sits at a narrow desk cluttered with pens, print-outs, and documents written in fine print. Reyes explains that she would have to be responsible for the payments, if her boyfriend is in prison, even if it is for another crime, since he wouldn’t be working and able to pay it himself. That’s the reason why they need co-signers. It is a big commitment for Torres and her family, but she wants to get her boyfriend out, so she starts to fill out the paperwork. 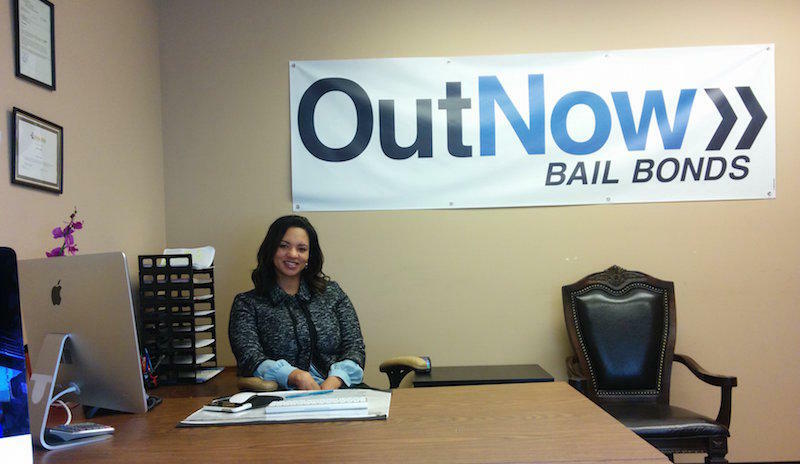 Around the corner from Bail Hotline Bail Bonds, on 7th Street, is the San Francisco Public Defender’s office where Chesa Boudin is a deputy public defender. Boudin has been working with Equal Justice Under Law, a Washington DC-based nonprofit, behind a lawsuit aimed at ending the bail system in San Francisco. “Why? Because when you say to two people otherwise similarly situated, same criminal justice history, same allegations against them; person one, you’re rich you can go home today; person two, you’re poor you stay in jail,” Boudin says, that's not right. He believes it undermines the integrity of our criminal justice system. It is already the norm in states like Virginia, New Jersey and Colorado. Equal Justice Under Law wants that to spread. The lawsuit that they have brought in nine cities across the country claim that the current bail system is unconstitutional because it treats rich and poor people differently. They argue that it violates the Equal Protection Clause. Rankin says she is willing work with people to make bonds affordable That’s her way of guaranteeing “non-excessive bail.” When bail first originated it was thought of as progressive way to secure people’s release, but what the Constitution does not mention is how to pay for the bail bond. There are options and clients can negotiate down payments and how much collateral to put up. Bond agents can also offer interest-free monthly payment plans, but those can take years to pay off. It’s late afternoon, and Dora Torres is still in the bond shop. It’s hot and stuffy and the kids are getting antsy, but there is still some paperwork to settle. Torres still does not have enough money to put down as a security for the bond. So for today, her boyfriend stays in jail. Since his arrest he has missed Halloween, Thanksgiving, Christmas, New Year’s with the family. Even Valentine’s Day came and went. Then, on February 20, her boyfriend got released. It took five months, six co-signers, a down payment of $10,000, and putting up his Harley as collateral to get him out. 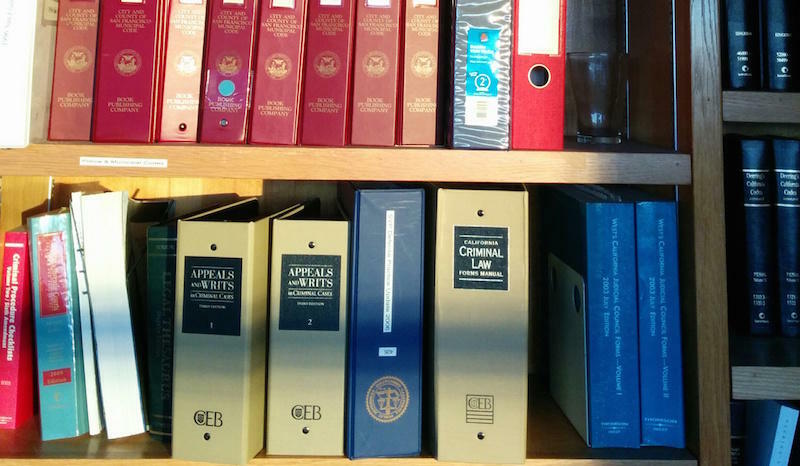 Equal Justice Under Law’s case against San Francisco’s bail system is ongoing. The judge is waiting on the City and County of San Francisco to file their response to the lawsuit, that is expected in mid-March. Correction: The segment indicates that the lawsuit filed by Equal Justice Under the Law is “aimed at ending the bail system in San Francisco.” This statement is misleading because the lawsuit aims to ensure equal protection under the U.S. Constitution by ensuring equal access to the bail system regardless of income. This could be achieved by means other than cash bail amounts such as community bail systems. Bankruptcy Law -- Debtors' Rights in Dealing with Overwhelming Debt. Guests: Specialists in Bankruptcy Law Leon Bayer and Scott Bovitz who are certified by the California Board of Legal Specialization of the State Bar. Listeners with questions for Leon Bayer and Scott Bovitz please call 415-841-4134. Also, this Wednesday, April 22, we feature our monthly Call-A-Lawyer Night; from 7 until 8pm, attorneys will be ready to discuss questions on various topics off-the-air at 1-800-525-9917.